Given the close and ongoing contact between teacher and student I had looked forward to a broader, more comprehensive exposition by Chen Xiao Wang with personal memories from his student of occasions when the Five Levels were fleshed out in practice. Unfortunately this book does not offer this. The translation provided would appear to be via German to English. Within the 96 pages of this slim volume, approximately 13 pages are the translated levels from Chen Xiao Wang. Amid a great deal of duplication, Master Chen’s texts are repeated twice regularly and sometimes three times, I presume due to poor editing. The rest of the book is taken up by Jan’s “commentary”. In general I do not liking the content or style of these. While I am confident that Jan has a good grasp on Chen theory and practice, neither comes across well within this volume. There are parts which strike a true and clear note, and it is a pleasure to see them in print but they are few and far between. Some points are in direct contradiction with others e.g. page 23 “About 99 per cent of Taiji practitioners (students as well as teachers) world wide are at Level 1” and page 47 – “Generally we can say that most people are able to reach Level 2 of taiji-gong fu within four years.” Many are verbiage, with no direct relationship to the text they follow. 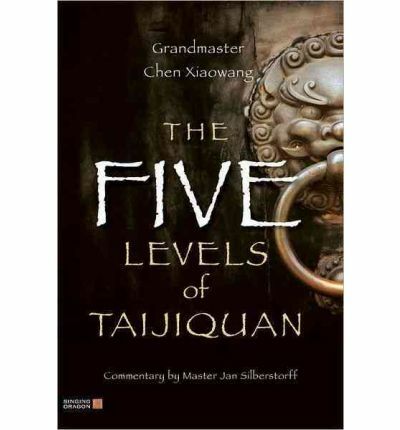 Given that, by his assertion, the overwhelming majority of taijiquan practitioners are in Level 1 (or, I would add, are yet to reach Level 1,) it seems a great pity that the ‘Level 1’ part of the book is the smallest part. Clarity on what constitutes the start of Level 1 is completely neglected. The reason is left with some confusion as to the difference between gaining a level (meaning to begin it) and gaining a level (meaning to have completed it.) I am also curious, given his own achievements in reaching Level 2, how confident he felt about his lengthy commentaries on Levels 3, 4 and 5 which my understanding is he has yet to reach. It is one thing Chen Xiao Wang talking about these from his experience: these commentaries are more concerned with Jan’s opinions. Overall an opportunity missed.